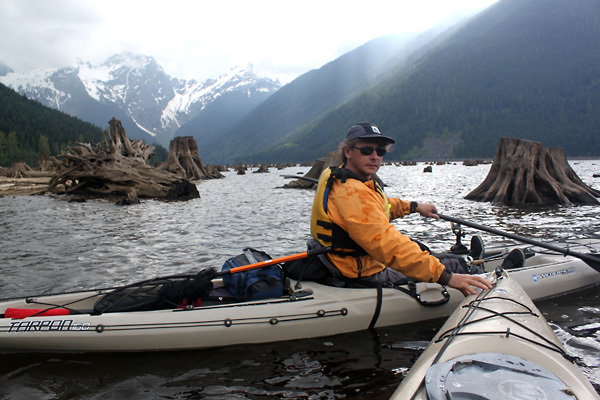 This one day – 7 hour program is an Introduction to Kayak fishing for those who are already paddlers or getting into paddling and fishing for the first time. At the start of the course participants will be introduce to the angling kayak and the features that promote this activity as a great way to fish and have fun on the water. In addition participants will learn about kayak fishing gear, tides and currents (where applicable), launching and landing, paddling technique and ways of improving your chance of experiencing success while fishing. The course is designed for those who fish fresh or saltwater and will involve an opportunity to spend some time fishing the local waterway. 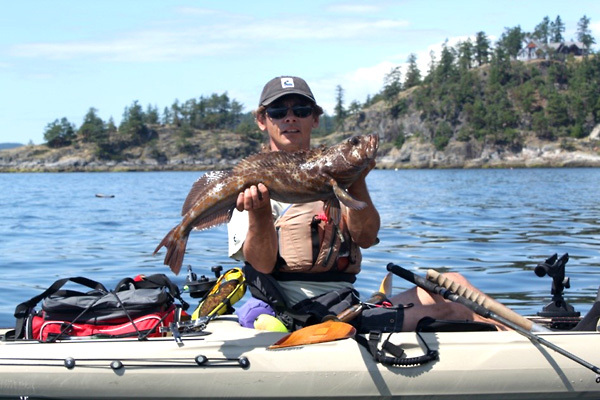 Kayak angling is a great way to pair ones hobby of paddling with the thrill of catching the big one. It is a relaxing way to get out on the water and know that even a bad day of fishing is still better than a good-day at work. The sessions include the kayak (Wilderness System Tarpon 160 fishing kayak w/rudder), related kayak safety gear, mooching rod and tackle. The class will consist of no more than 4 participants: Anglers must have a valid fishing license (for the date covering of the course) to participate. The location will determine where a fresh or tidal water (salt-water) license will be required. (See our kayak fishing links page for information on where to obtain a fresh or salt-water angling license). Kayak courses listed below take place in White Rock, British Columbia, however can also be offered on BC’s beautiful Sunshine Coast. * If you do not find a date that works into your schedule please contact us for alternate dates! This program will give participants the information necessary to manage an unanticipated roll over while kayak fishing. 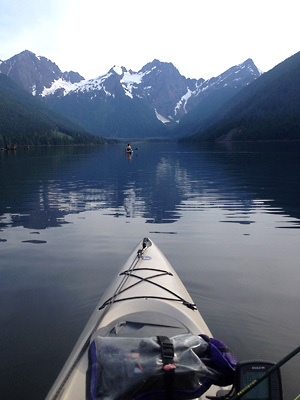 Paddling involves a number of different variables which put participants kayak fishing at increase risk of capsize. Anglers may encounter unexpected waves, hooking a large fish, unexpectedly drifting into an object, or a barrage of unforeseeable events that result in an unexpected swim. Learning the fundamentals of safe paddling and how to re-enter ones kayak is significant to survival while on the water. This program will cover both self and assisted rescue. Be prepared for any event! Whether it is you, or your fishing buddy, a course such as this is a must for all who venture on the water in hopes of catching the big one!!!!! 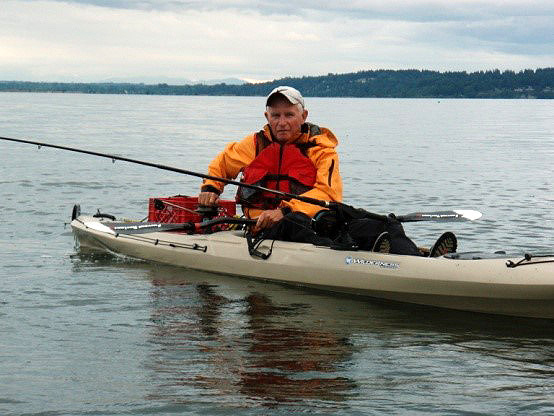 This three-hour program will introduce participants to the use of downriggers while fishing out of a kayak. 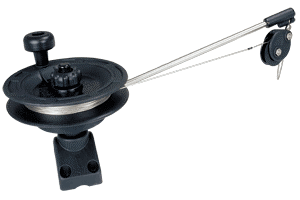 Downrigger fishing allows the line and hook to get deeper in the water while trolling, increasing ones chance of hooking the big one. 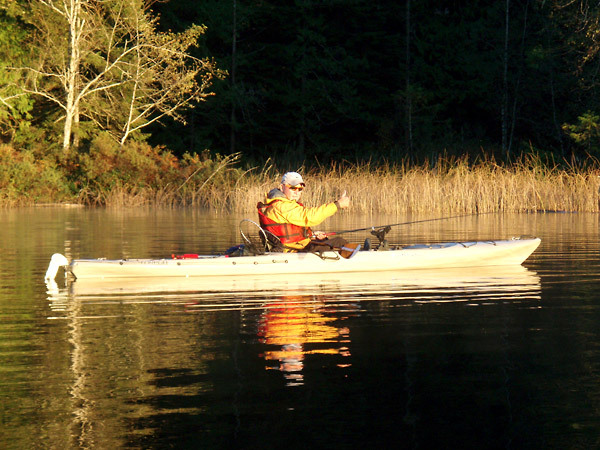 Downrigger fishing is an involved process in a kayak and participants will benefit from the teachings of our introduction to fishing course before the hands on experience of downrigger kayak fishing. The sessions include the kayak (Wilderness System Tarpon 160 fishing kayak w/rudder), related kayak safety gear, mooching rod and tackle along with a downrigger. The course will consist of 4 participants per session: Participants must have a valid salt-water license (for the dates covering the course) or annual salt-water license to participate.